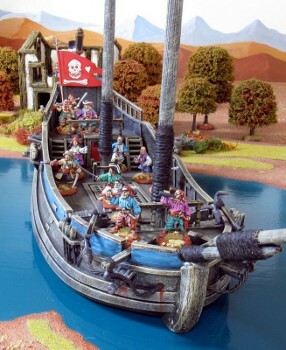 Ainsty Castings releases 28mm pirate ships. Three 28mm Pirate Ships are now available to order direct from the Web Site. The Sloop measures 12" long, Merchantman is 14" long and the Man of War is 17" in length. All are single piece Resin Hulls with White Metal parts and Dowell Masts supplied with each Ship.